NSERC-CANPOLIN will officially cease operations on September 1, 2014. 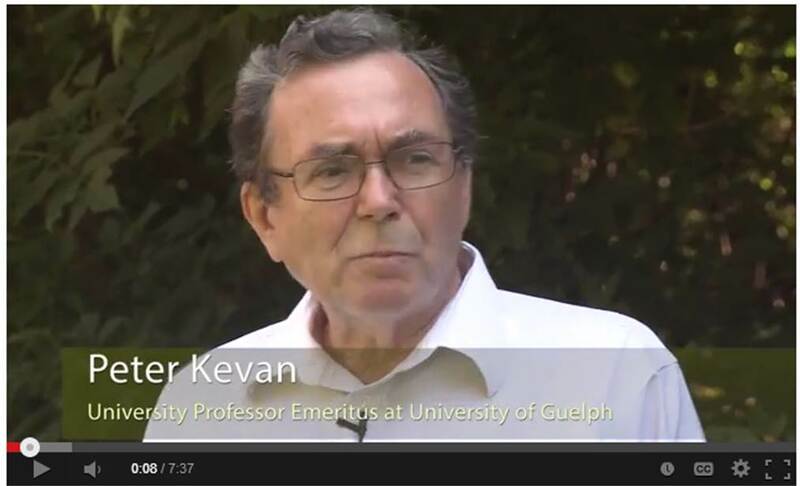 Questions or comments after this date should be directed to Peter Kevan (pkevan@uoguelph.ca). This site will continue to be updated with new publications and other relevant information as time and resources permit. On behalf of our reseachers and Board of Directors, we would like to extend a warm thank you to our many supporters and partners who have helped make CANPOLIN so successful. We look forward to continuing to work with many of you as new opportunities present themselves. We thank NSERC for making this Strategic Network possible. 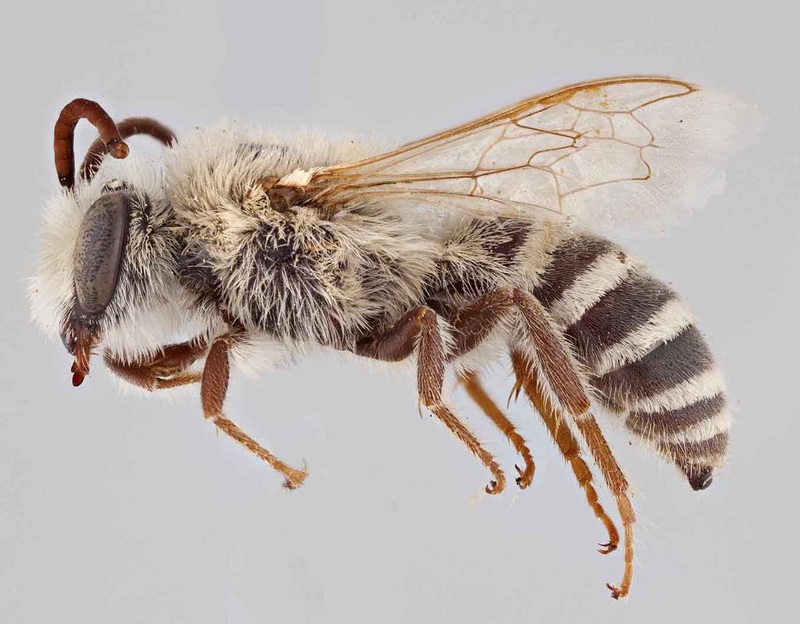 Bees of Canada Image Bank: The Packer Lab at York University has released its long anticipated online image bank containing amazing images of Canada's bee fauna. Click here to be redirected. CANPOLIN launches national floral calendar for beekeepers. 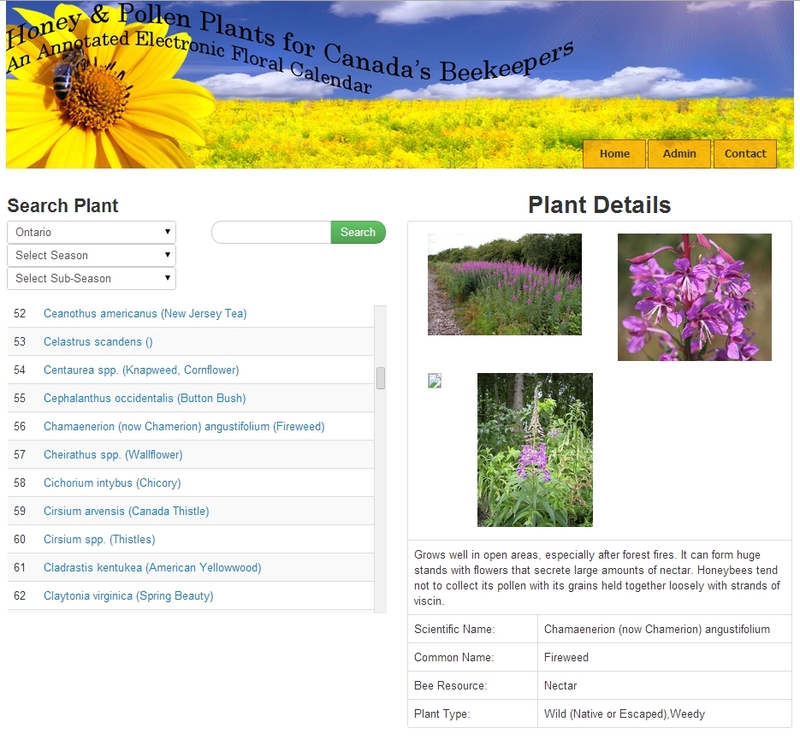 CANPOLIN Announces New Floral Calendar for Ontario Beekeepers: See the What's New page for all the details. Chair in Pollinator Conservation Appointed: The University of Guelph has named Dr. Nigel Raine as the new Rebanks Family Chair in Pollinator Conservation. Click here for the full press release. CANPOLIN Winter Newsletter Now Available! Click here to open. Now Available! 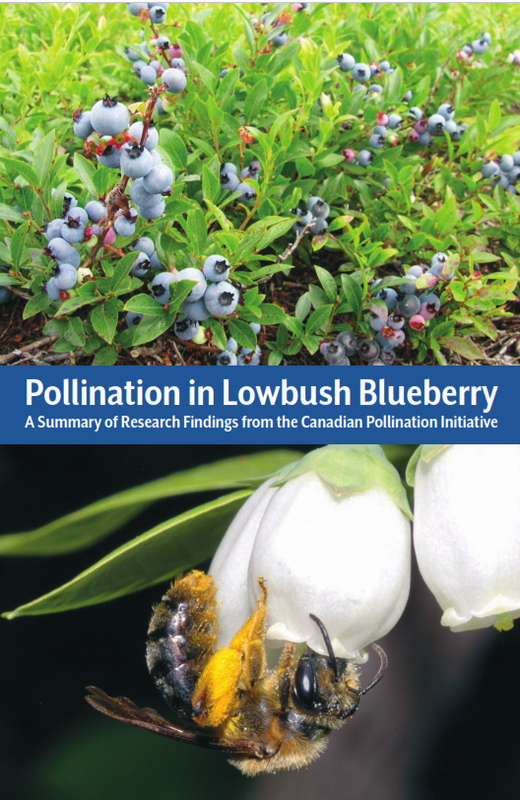 The Mobilizing Pollination Research in Canada Roundtable report is available for download. Also posted: presentations from the CANPOLIN Symposium at the Entomological Society of Canada meeting in Guelph, ON, on October 23, 2013. CANPOLIN Research Resonates with Scientists and Stakeholders: At the end of October, CANPOLIN held two successful meetings as part of its final year "wrap up" activites. Click here to learn more. New Job Ad Posted! Agriculture and AgriFood Canada is looking for a Research Assistant in Apiculture. See our Employment Opportunities page to learn more. Now Available: The Tips and Tricks Guide for Pollination Biologists, a handy manual for students and others working in the field of pollination biolgy. The guide is an output from the CANPOLIN graduate student training workshop held at Simon Fraser University in July. It's been a busy summer! CANPOLIN held several workshops over the summer, focusing on topics as diverse as mathematical studies of bees to climate change in the north and diagnostic technique for studying bee health. Visit the What's New page to find out more. Floral Calendar for all of Canada now available. 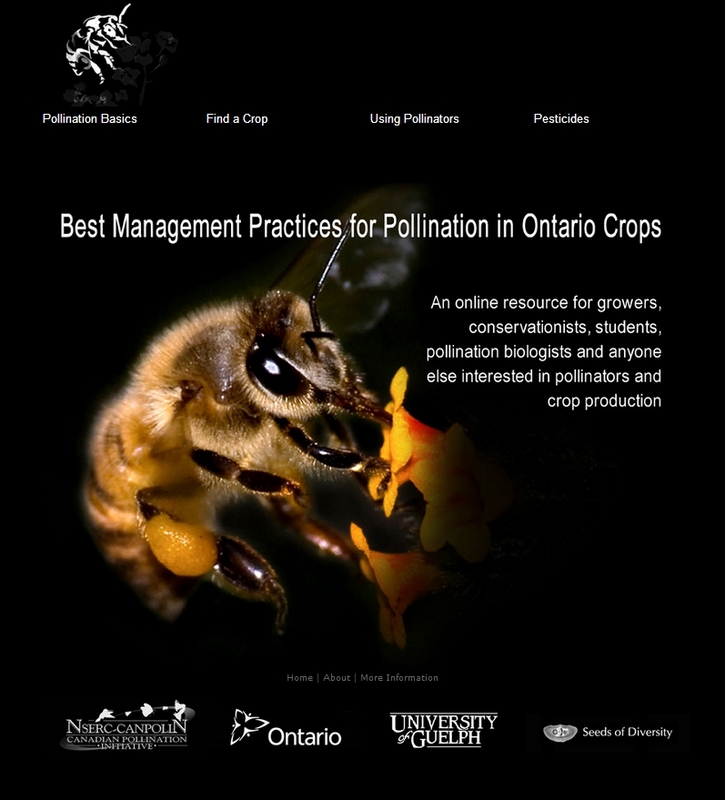 Visit CANPOLIN's Best Management Practices for Crop Pollination website. Watch Peter Kevan discuss how the Network got launched and what it has achieved over the last five years. Click here to watch a video about CANPOLIN produced by the SPARK program at the U of Guelph. The STEP consortium consists of 20 partners from 16 different countries, with support totalling about $6.5 million CDN over the five year term of the project. For more information, visit the STEP website. And you can follow STEP on Facebook or Twitter.